I am a bit fanatical about dental health, as I am not actually a fan of the dentist, so I was very interested when Toilettree got in touch to ask if I would like to review their electric toothbrush, with (and this is the best bit, in my opinion!) 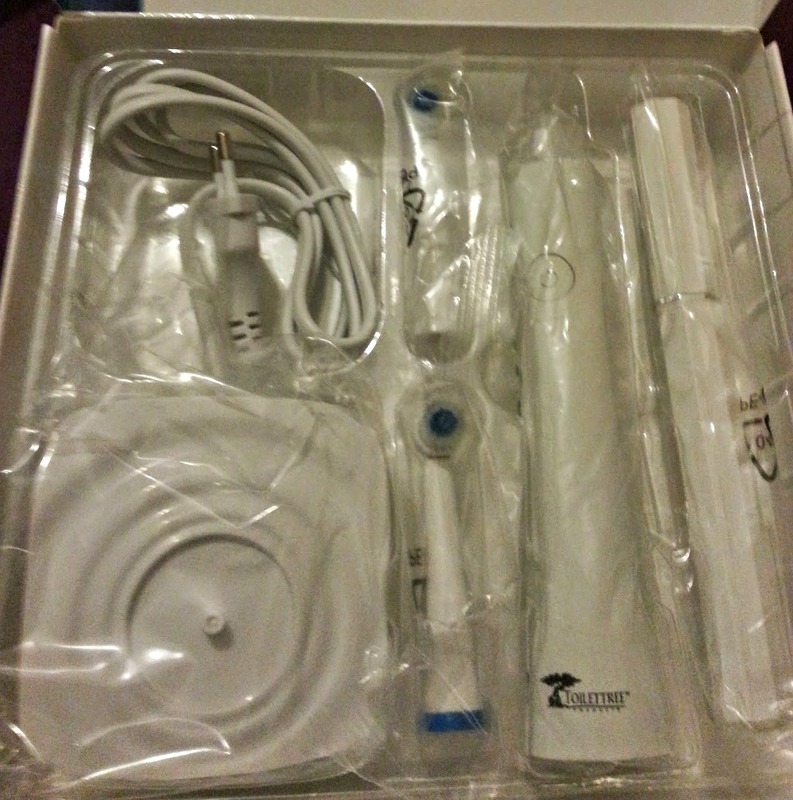 a free travel electric toothbrush! How inspired is that? I hate having to switch back to a manual toothbrush for travelling and the beauty of this one is it has a cap, so you don't have to throw a wet toothbrush in your luggage, to get covered in fluff and other stuff! 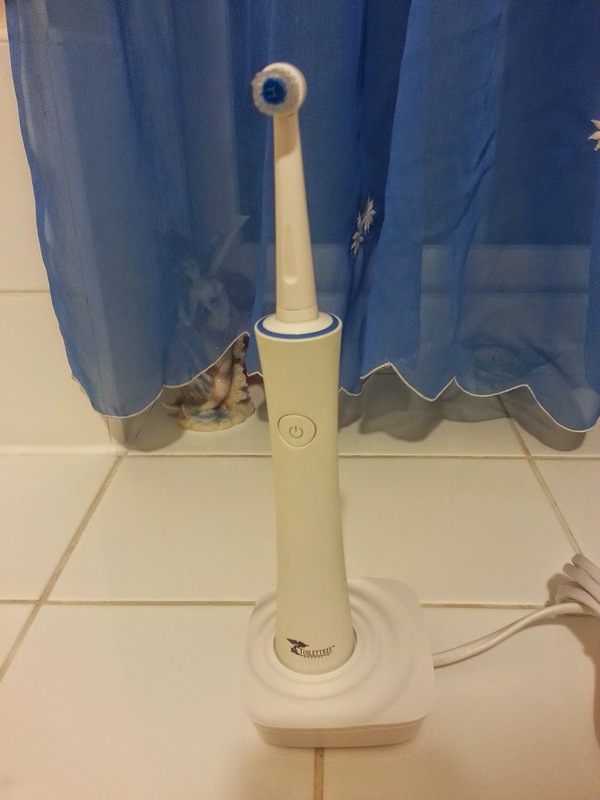 I was a little unsure how I would get on with a new electric toothbrush, as I have used the same brand for a long time, but I'm actually really pleased with it. It has a very soft, tactile handle, which makes it really comfortable to hold and it is really thorough. It has two speeds, so you can opt for a more gentler setting if you need to, and a timer. Every thirty seconds, it stops for a second, so you can change to a different area and ensure all your teeth get cleaned within the two minutes, before it stops completely. This is really useful, because two minutes is quite a long time in brushing terms and it's easy to overestimate how long you have been brushing for. 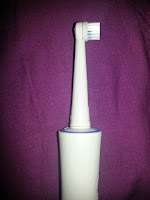 Even though I've used an electric toothbrush for many years, my teeth really did feel cleaner and it was definitely better at getting into the little gaps between. It feels really solid and well made and comes with its own charger, which has a good, long cable so you can position it where you need to in the bathroom. It is very modern in design and looks a bit like a spaceship. I would definitely recommend this toothbrush, it sounds like a strange thing to get excited about, but you really can't beat the feeling of properly clean teeth! That looks and sounds fab! The travel one is really cute, lol!